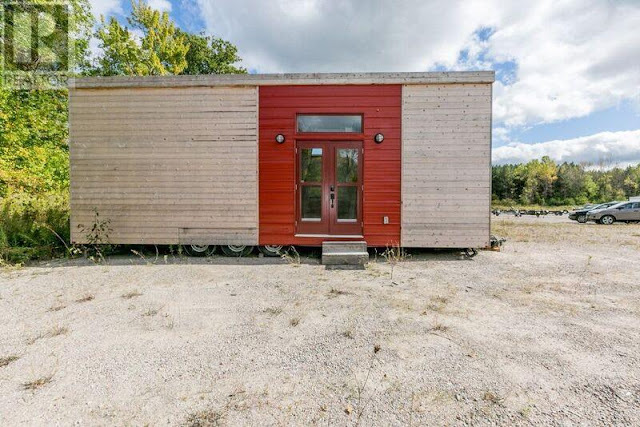 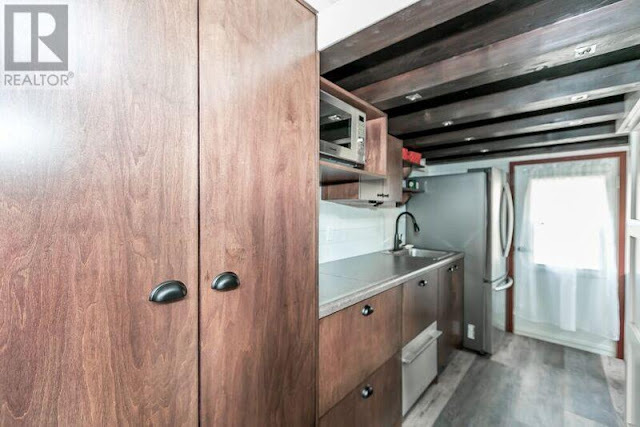 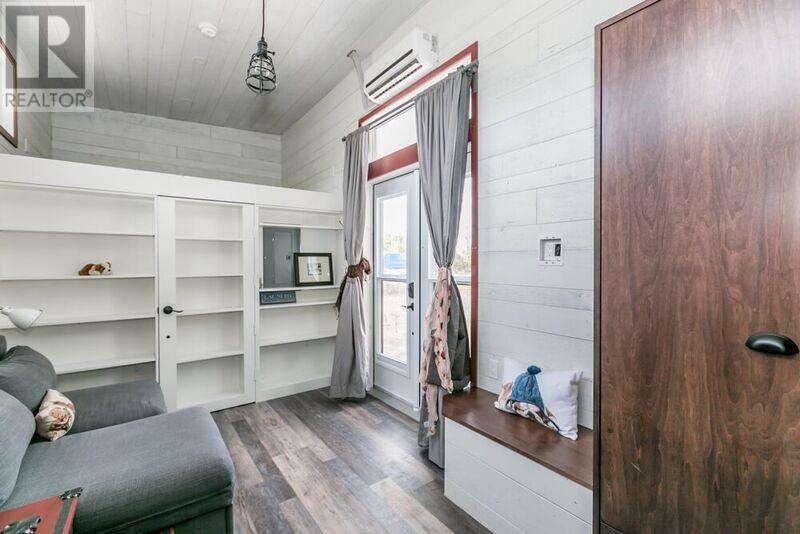 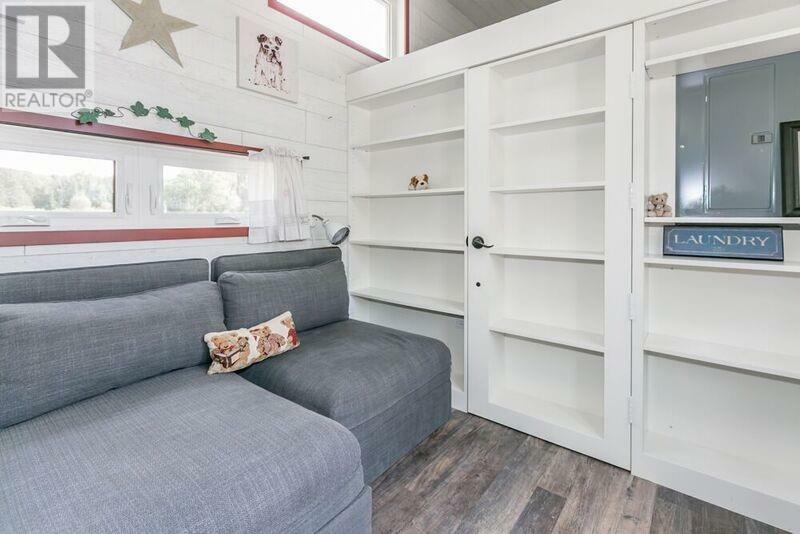 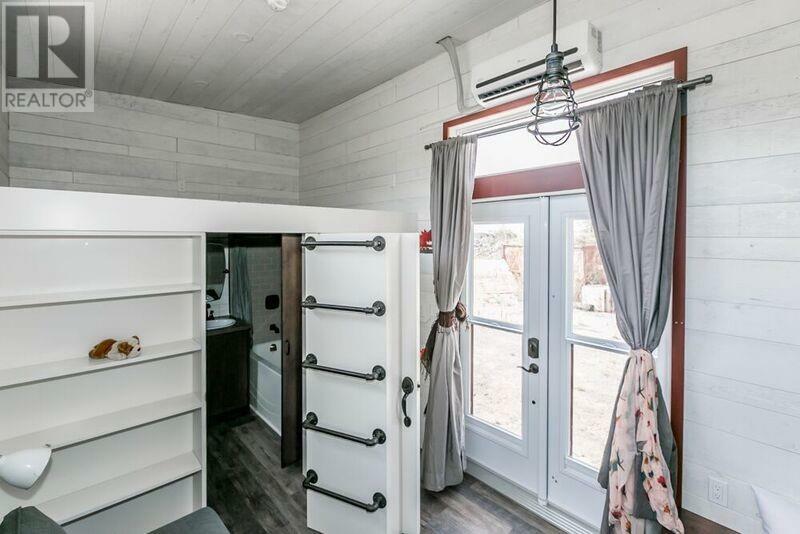 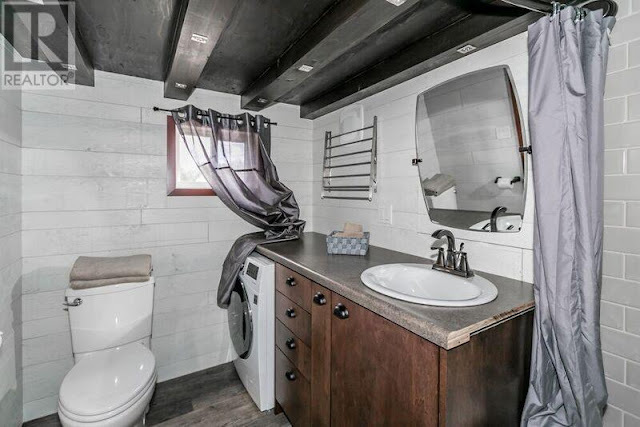 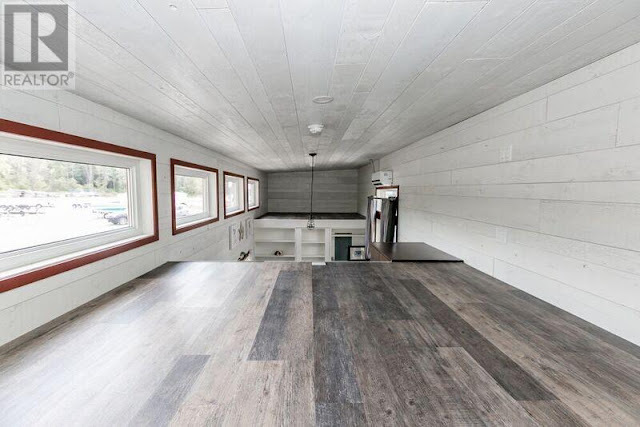 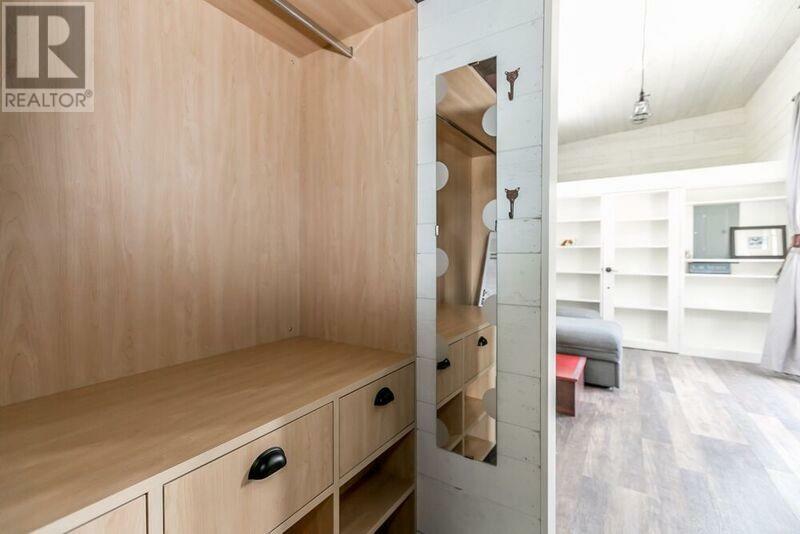 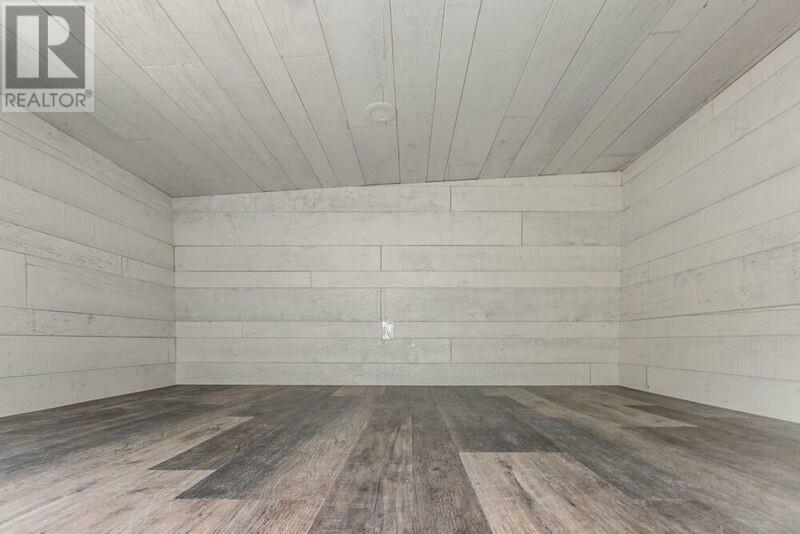 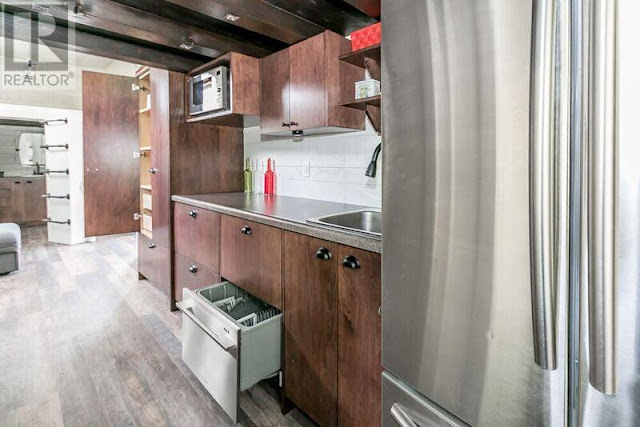 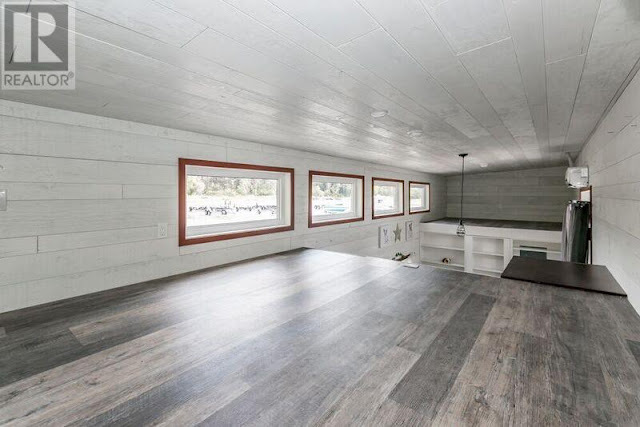 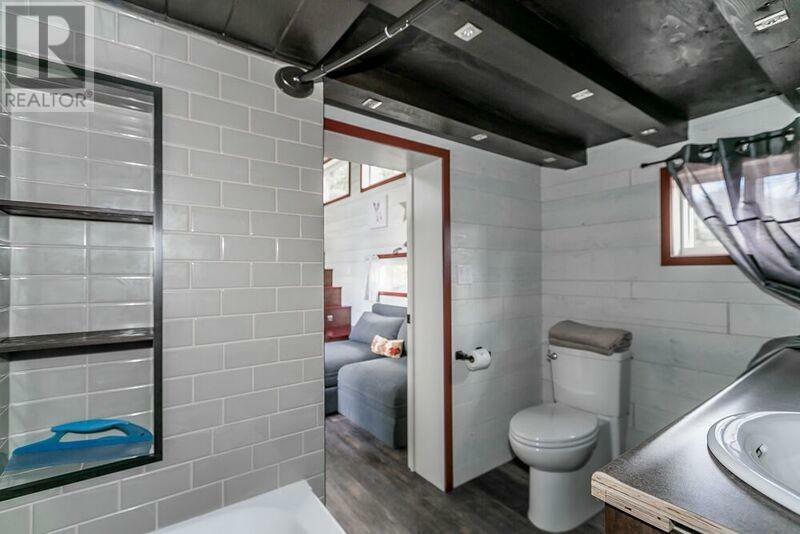 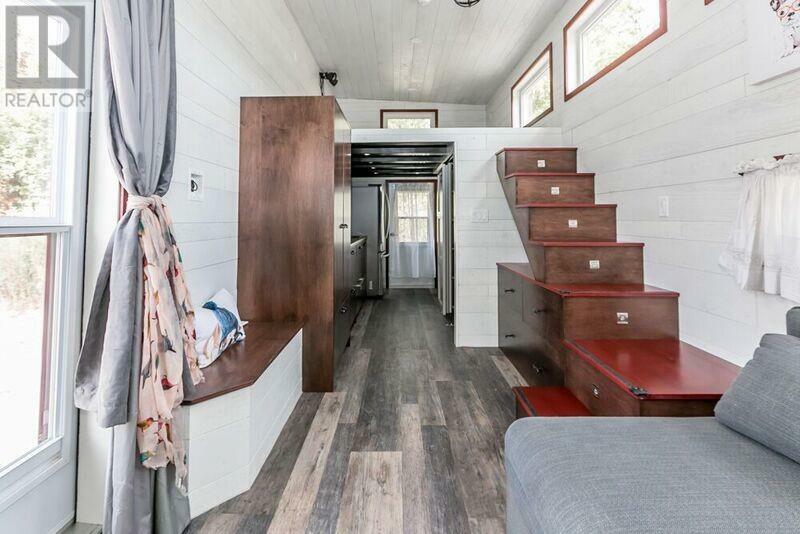 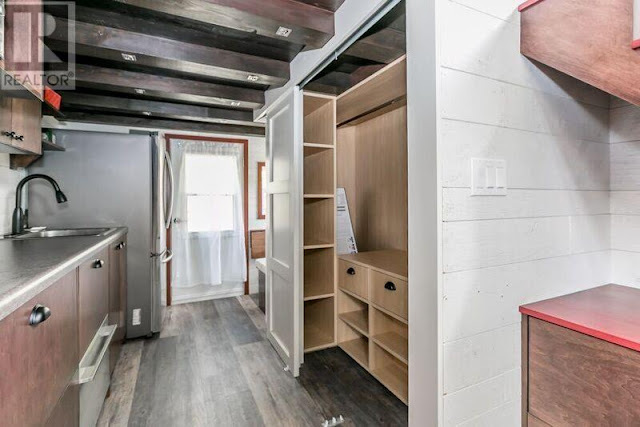 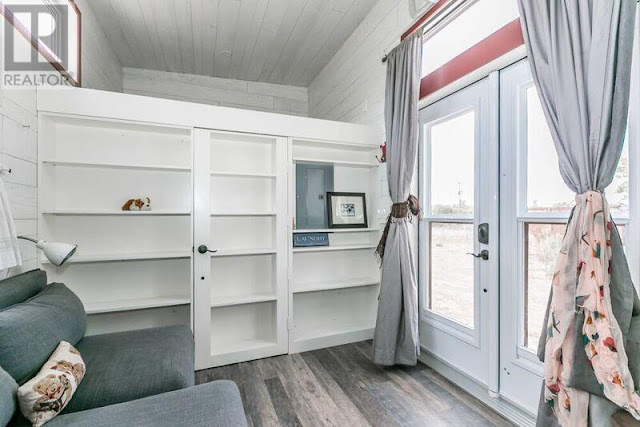 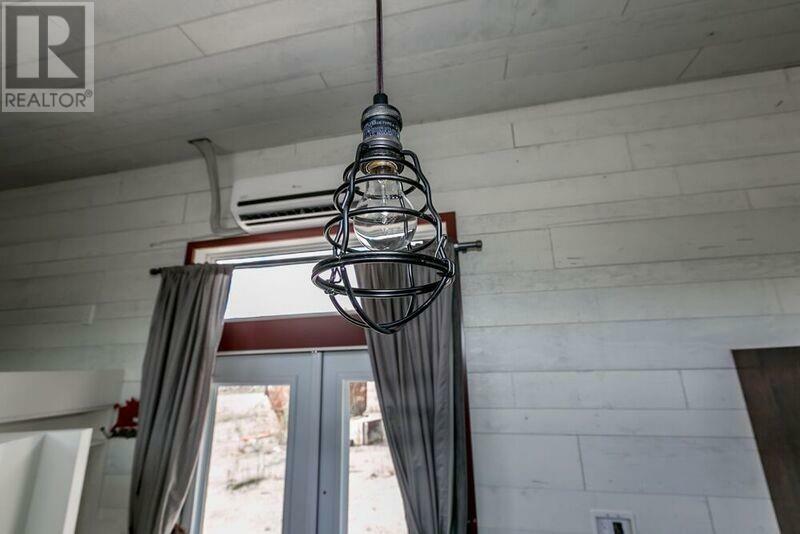 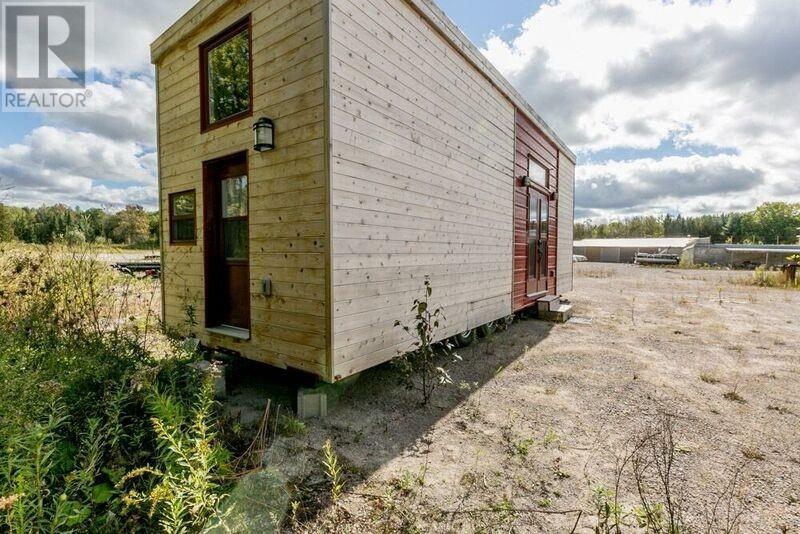 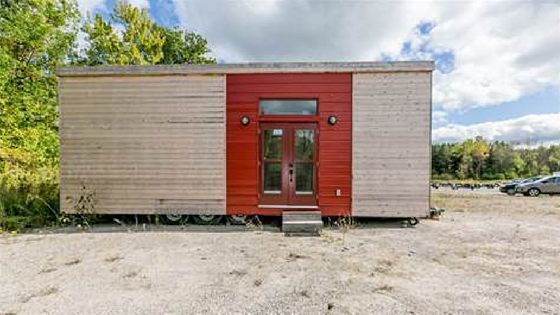 Currently available for sale in Victoria Harbour is this stylish tiny house on wheels. 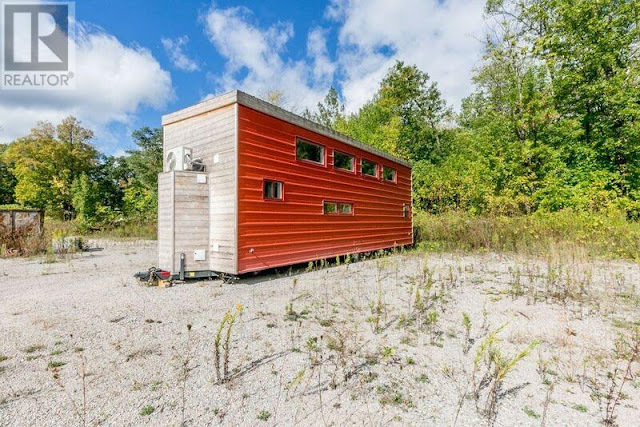 The home's exterior features cedar and metal siding with eye-catching red accents. 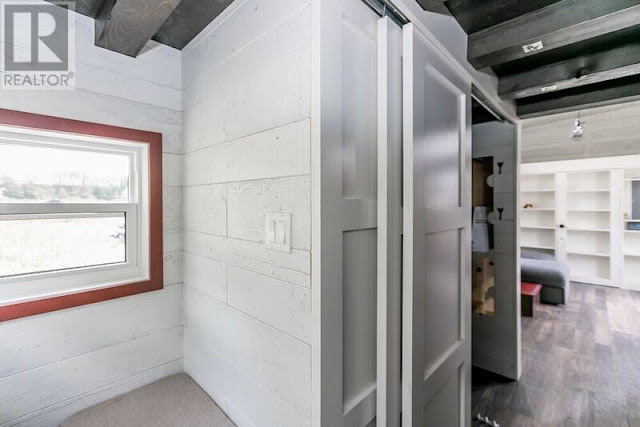 Inside the home are the same red accents with white-washed walls, and closed cell spray foam insulation to keep the home warm and snug. 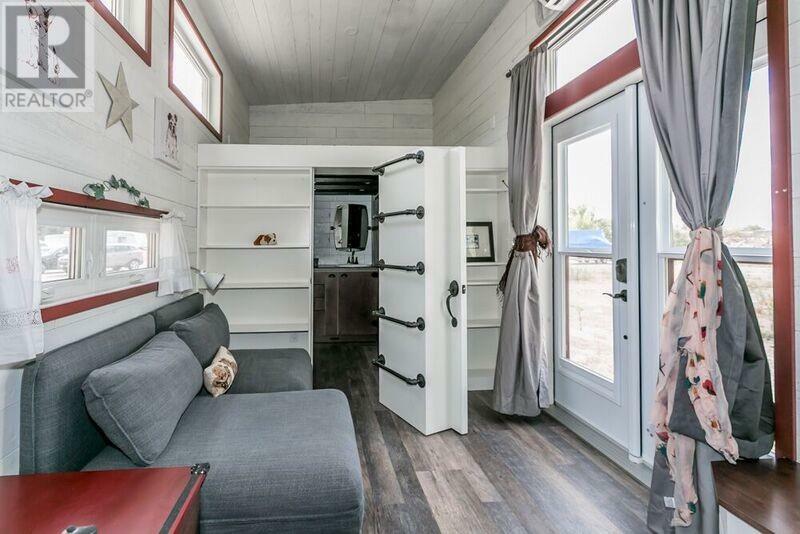 The living room includes a custom sofa with a pull-out bed that's perfect for hosting visiting guests overnight. 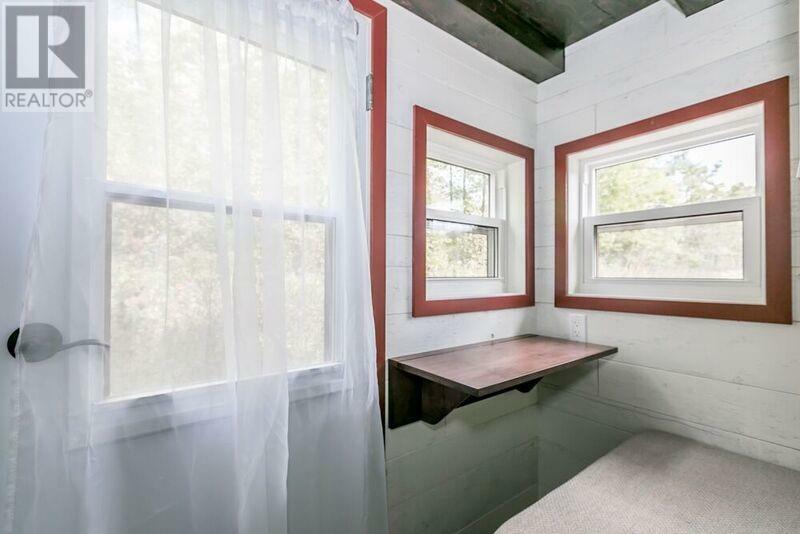 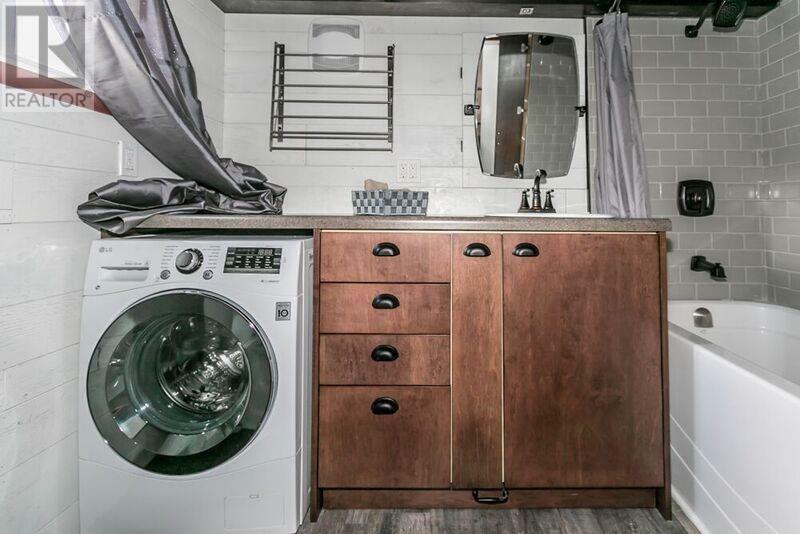 The bathroom also doubles as theme's laundry room and includes a tub, shower, vanity, toilet, and a washer/dryer unit. 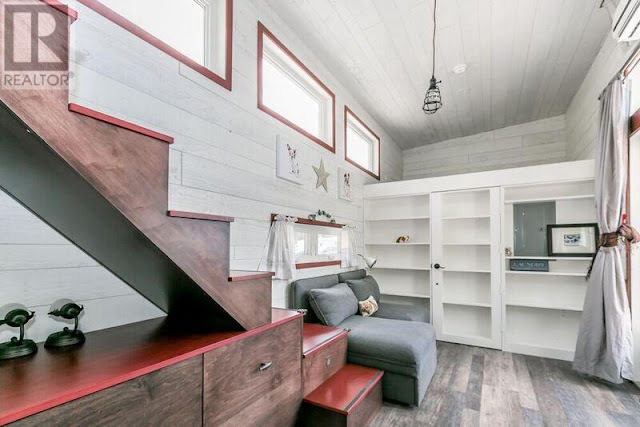 There's also a loft bedroom (accessible by stairs) and a second smaller oft that would be perfect for either a second bedroom or for storage. 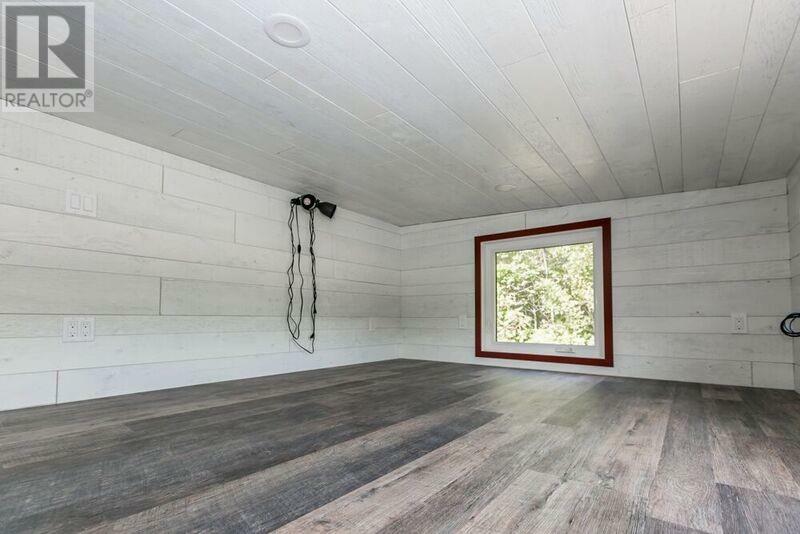 The home is just two-years old and can be hooked up to septic/sewer/hyrdo/water/etc. 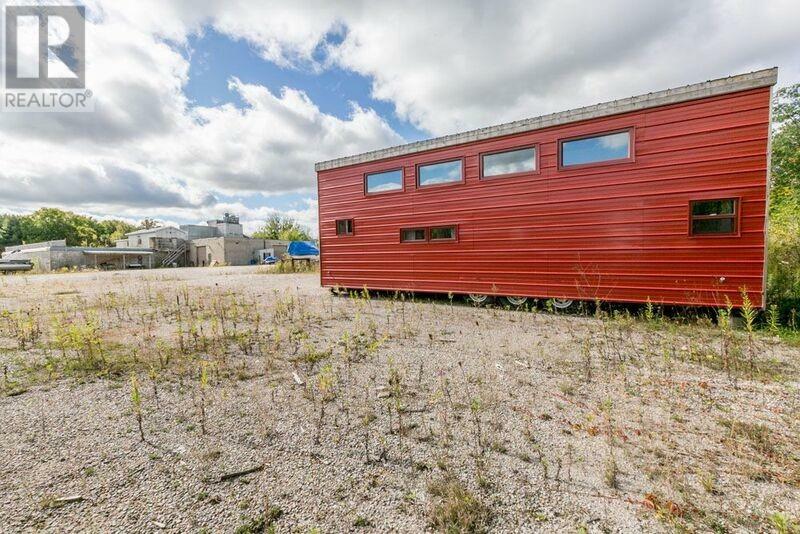 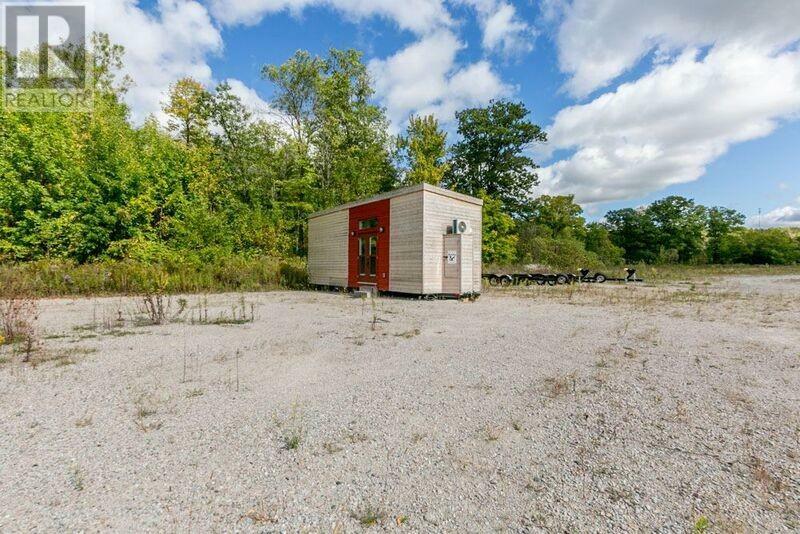 It's currently listed for $85,500 CAD (about $66,507 USD) and is limited to just the home, which must be towed away once bought. Click here to view the home's listing and/or to contact the realtor/broker!